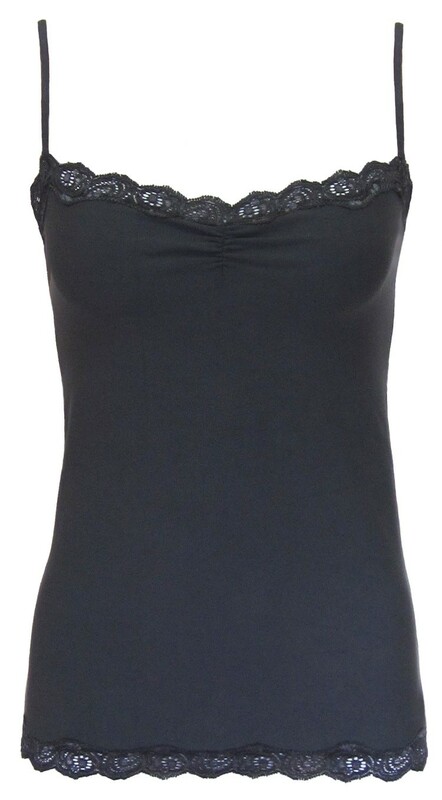 When you don't feel like wearing a bra, this cami fits the bill! 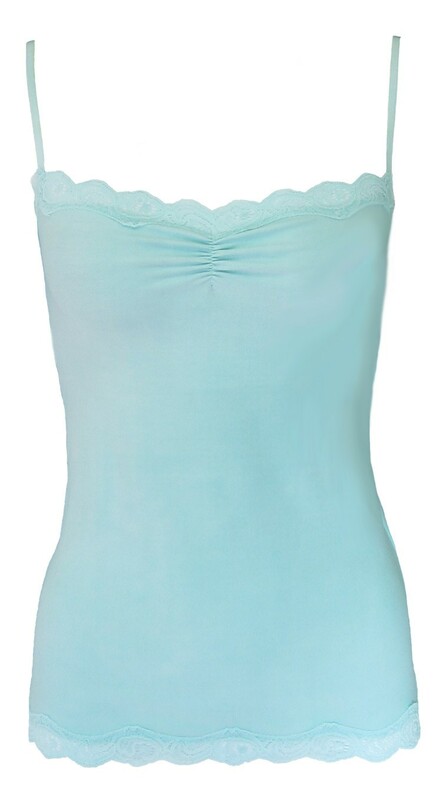 Feminine and pretty, with ruching detail at center, this cami is made of supportive supplex that is comfy and opaque. The imported French lace trim looks beautiful under a sheer top or peeking out of a jacket. 80% Nylon, 20% lycra. Made in USA.